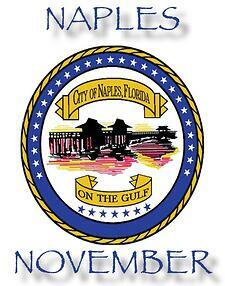 One thing that makes Naples a great place to live is that there is always something fun and interesting to do! Check out these five local Naples activities happening this month. Come to the Naples Zoo, 1590 Goodlette-Frank Rd., 34102 and learn about the Florida panther—one of the world's most endangered mammals on the planet and the state land animal for state of Florida. See Uno, a Florida panther blinded by a shotgun blast that now lives at the zoo and is an ambassador for the rare, endangered cats. Enjoy fun and interesting educational activities. Learn about living in close proximity to predators for protection of pets and livestock. You can also experience a nature hike along the Gordon River Greenway with Big Cypress National Preserve rangers and biologists with interactive stops to learn about panthers and their world. Admission is free for Collier County residents. Join the party at 800 N. Collier Blvd., Marco Island, FL 34145 from 1 to 4 PM to sample the beverages from more than 25 Craft Beers from 6 Florida breweries (Coppertail Brewing · Darwin Brewing · Fat Point Brewery - Islamorada Beer Co. · Naples Beach Brewery · Tampa Bay Brewing) that will be paired with more than 20 offerings from 6 Marco restaurants (Chop 239 · CJ’s on the Bay · Kretch’s Restaurant - Mango’s Dockside Bistro · Sandbar · The Speakeasy). VIP Ticket ($80) includes: Early Admission at Noon, souvenir beer glass, access to air conditioned VIP lounge and specialty brews and bites, unlimited food and samples and beer tastings. General Admission Ticket ($50) includes: souvenir beer glass and unlimited food samples and beer tastings. General Admission Tickets will be $10 more (if available) on day of event. Come to the Tiburon Golf Club, 2620 Tiburon Dr., Naples, FL 34109, when the Ladies Professional Golf Association (LPGA) returns to Florida’s Paradise Coast for its season-ending championship and culmination of the “Race to the CME Globe” (the season-long points competition in which LPGA Members accumulate points in every Official LPGA Tournament). The top 72 players on the “Race to the CME Globe”points list gain entry into the CME Group Tour Championship. Among those already qualified are: Lexi Thompson, Minjee Lee, Anna Nordqvist, Ha Na Jang, Ariya Jutanugarn and 2015 Race to the CME Globe Champion, Lydia Ko. For more information and to purchase tickets visit: www.CMEGroupTourChampionship.com. Enjoy Masterworks #2 at 8:00 PM at Hayes Hall with Conductor Bernard Labadie, pianist Benedetto Lupo, piano performing: Rigel, Symphony No. 4; Mozart, Piano Concerto No. 25; Mozart, Chaconne from Idomeneo; and Haydn, Symphony No. 95. Visit http://artisnaples.org/events/masterworks-mozart-and-haydn for more information and tickets. Be at the Collier County Museum 3331 Tamiami Tr E., Naples, FL 34112 from 10:00 AM to 4:00 PM where you can travel back in time to experience more than 10,000 years of South Florida history at one of the largest and most popular living history gatherings in the state. This two-day festival features more than 90 historical re-enactors, craft-workers, demonstrators, folk musicians and storytellers depicting everyday life on the Southwest Florida frontier, from Calusa and Seminole Indians to World War II. This year’s event includes a Spanish fort and garrison, complete with mounted Conquistadors, cannons, a missionary, displays and a Spanish colonial cooking demonstration. Admission is $10 for adults; $8 for Friends Members and Seniors; $5 for children 10 -18; children under 10 are free. For more information, call (239) 252-8476.